Formerly of Wyoming, MN. 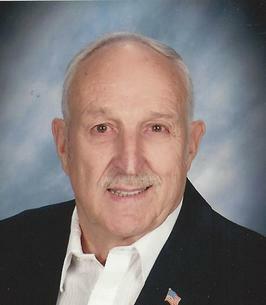 Passed away peacefully surrounded by his family on November 18, 2018. Preceded in death by brothers Marcel and Robert (Bud). Survived by 5 children, 13 grandchildren and one great-grandson. Mass of Christian Burial Tuesday, November 27, 2018 at 11:00 AM at ST. JOHN THE EVANGELIST CATHOLIC CHURCH, 380 Little Canada Road, Little Canada. Visitation one hour before Mass. Navy Veteran of the Korean War. No flowers preferred. Memorials preferred to the Leukemia Society or St. John the Evangelist Church. To send flowers to the family of Warren Louis Bruley, please visit our Heartfelt Sympathies Store. We encourage you to share any memorable photos or stories about Warren. All tributes placed on and purchased through this memorial website will remain on in perpetuity for future generations. Dear Kathy and family, Keith and I were saddended to hear of the passing of your dad. We remember him from the "sunrise west" neighborhood & him in his squad car. May your memories bring you peace.